Wed, Nov 1: I Have Something to Say! Now What? Want to publish a book but afraid nobody will read it? Join AWC-SB for “I Have Something to Say! Now What?”, a panel for those in search of an audience, on Wednesday, November 1, 5:30-7:30 pm at workzones in Paseo Nuevo. This program will offer discussions for people at all stages of the process, from a kernel of an idea to a product already on the market. Whether you’re indie published, traditionally published, write a blog, or produce a podcast, our expert panelists will guide you up the mountain to increased readers and listeners. 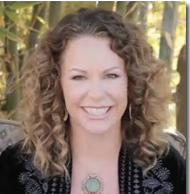 Zhena Muzyka is an award-winning social entrepreneur, teacher, author, executive coach, public speaker, and the publisher of Enliven Books, a new Mind-Body-Spirit imprint from Atria/Simon and Schuster. Her critically acclaimed book, Life by the Cup, chronicles her experience growing a multimillion-dollar fair trade tea company, Zhena’s Gypsy Tea. Celebrated for her products and work in conscious business practices, Zhena has been on the Inc. 5000 list for several years, has been named a Country Living Women Entrepreneur Honoree, a Top Woman in Business by Pacific Business Times, 20 most inspiring women in Coco Eco Magazine, and has received Enterprising Women’s Enterprising Women of the Year Award, and the Natural Products Expo Socially Responsible Business award, among others. She has been featured in The New York Times, Forbes, The Wall Street Journal, Marie Claire, Inc., Entrepreneur, and on Bloomberg, FOX NEWS, Lou Dobbs, and others for her unique point of view on mission driven business success, women in business, and spirituality. 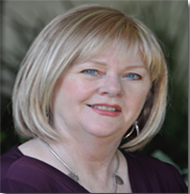 Gail M. Kearns began her publishing career in 1995 after working over 20 years in the motion picture industry. Currently, she is president of To Press and Beyond, a full-service book shepherding agency that guides projects from inception to completion, providing a wide range of services including ghostwriting, copywriting, writing for the web, and implementing innovative plans for marketing and PR. Gail calls herself a Book Sherpa to underscore the fact that with all the complexities involved in the trek to producing a successful book, every author needs help climbing the publishing mountain. Most recently, she co-authored a gourmet cookbook titled The Gourmet Girls Go Camping Cookbook published by Mise en Press. Books of all genres shepherded by To Press & Beyond have garnered such awards as the prestigious IPPY, the Benjamin Franklin Award, Foreword’s BOTYA, Next Generation Indie Book Awards, USA Best Book Awards, Pinnacle Book Achievement Award, and Moonbeam Children’s Book Awards. She and her team have over 30 years of combined experience in the book trade and a skilled understanding of the indie publishing landscape. Kathleen Kaiser’s career spans over 40 years, from rock and roll in the 60s and 70s to the digital/internet revolution of the late 80s and 90s. She has been a marketing professional for Fortune 100 companies, small startups, and conferences/tradeshows around the world. In 1993 she opened Kathleen Kaiser & Associates which now focuses on arts nonprofit communities and publicity for authors. Her work includes past president and season producer of the Ojai Shakespeare Festival, past president of the Ventura County Writers Club, marketing for the Ojai Studio Artists, Ojai Art Walk, and other community organizations. She produced of the 805 Writers’ Conference for seven years. 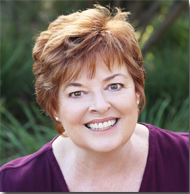 Named Publicist of the Year in 2016 by the Book Publicists of Southern California for her contributions to the literary community, Kathleen maintains a small list of clients that allows her to continue her volunteerism. She serves as president of the national organization Small Publishers, Artists & Writers Network (SPAWN), and board member of the Ojai Film Festival and Independent Writer of Southern California. This entry was posted in Past Events on October 13, 2017 by Lisa.